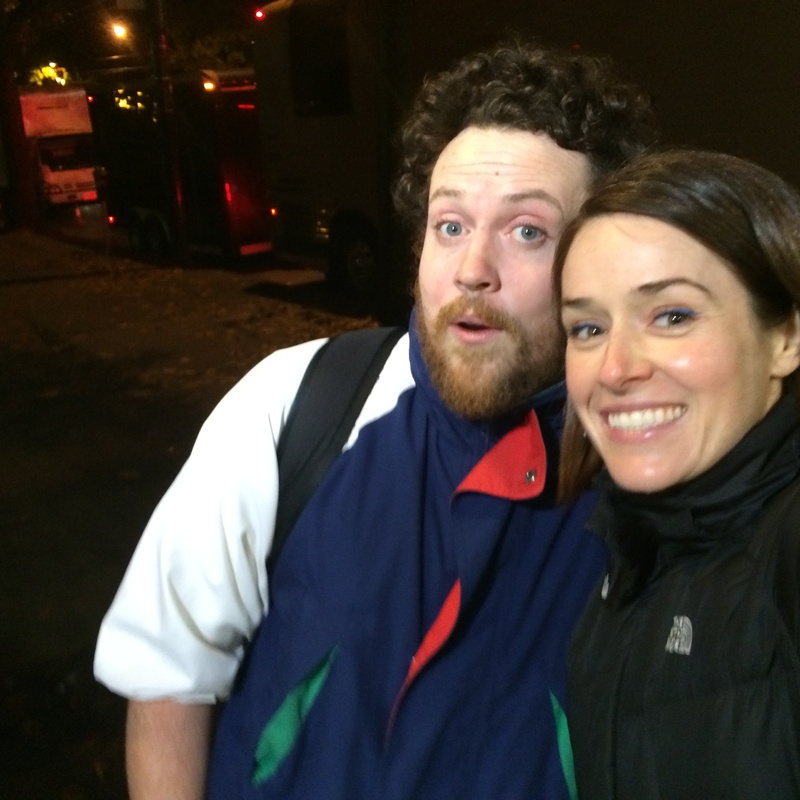 METRONOMY’S lead singer JOSEPH MOUNT and I.
I saw METRONOMY perform at the Imperial in Vancouver on October 26th, 2014. 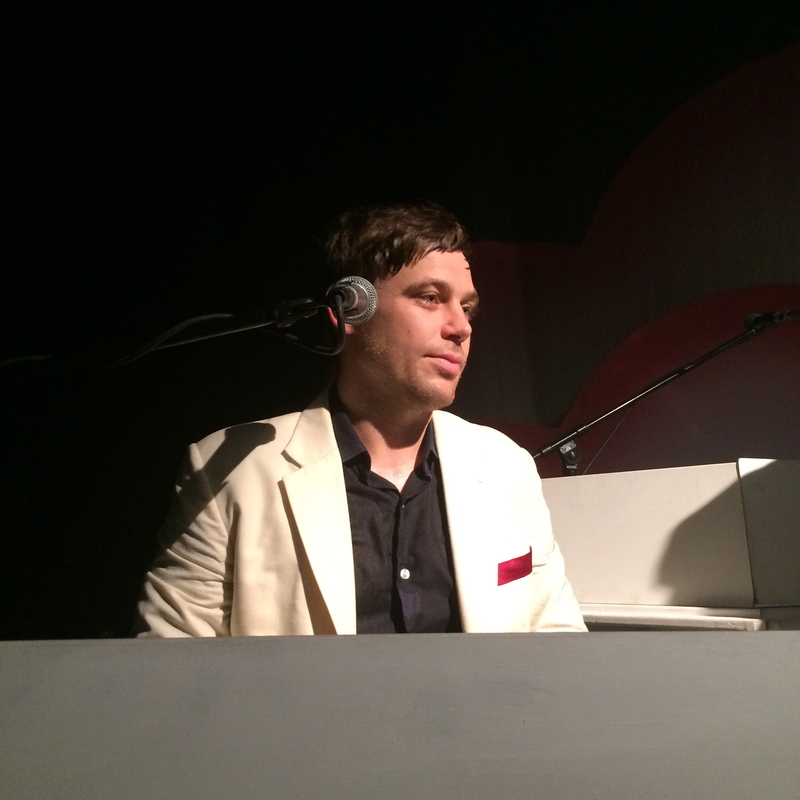 The band were a cohesive unit in their coordinating white outfits and they had a fantastic retro set. METRONOMY was impressive, fun, and everything I hoped they would be live! Their press person never got back to me about an interview, so after the show I waited outside in front of their tour bus for over an hour at Main and Hastings, which is not an ideal area. Finally lead singer JOSEPH MOUNT came out and gave me an interview that far exceeded my expectations (he could have had an attitude or not felt like talking after their active show). 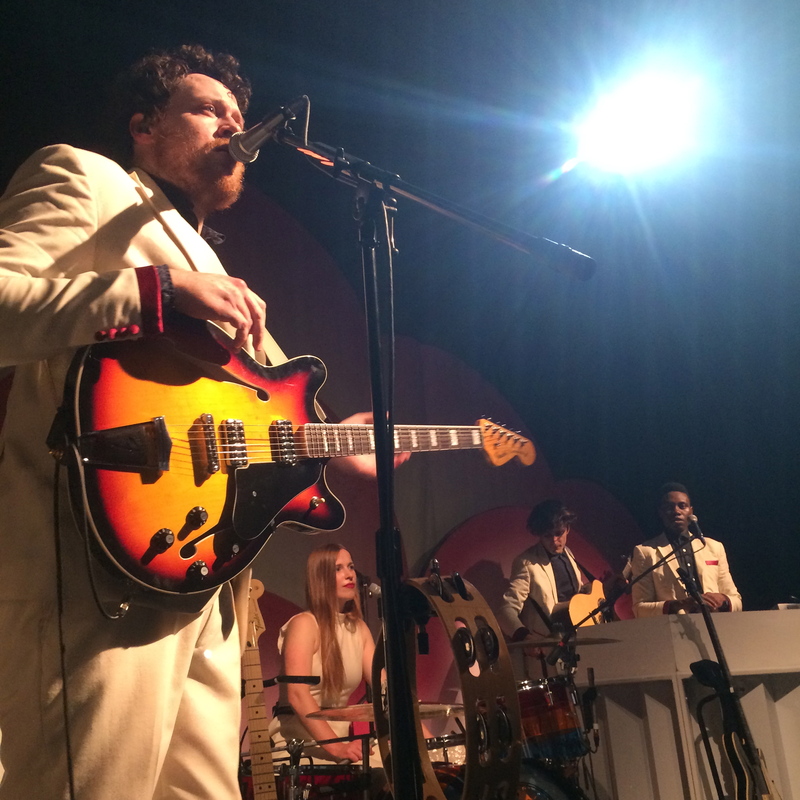 METRONOMY consists of lead singer/guitarist/keyboardist JOSEPH MOUNT, saxophonist/guitarist/keyboardist/back-up vocalist OSCAR CASH (who is also Mount’s cousin), bassist/back-up vocalist GBENGA ADELEKAN, and drummer/back-up vocalist ANNA PRIOR. 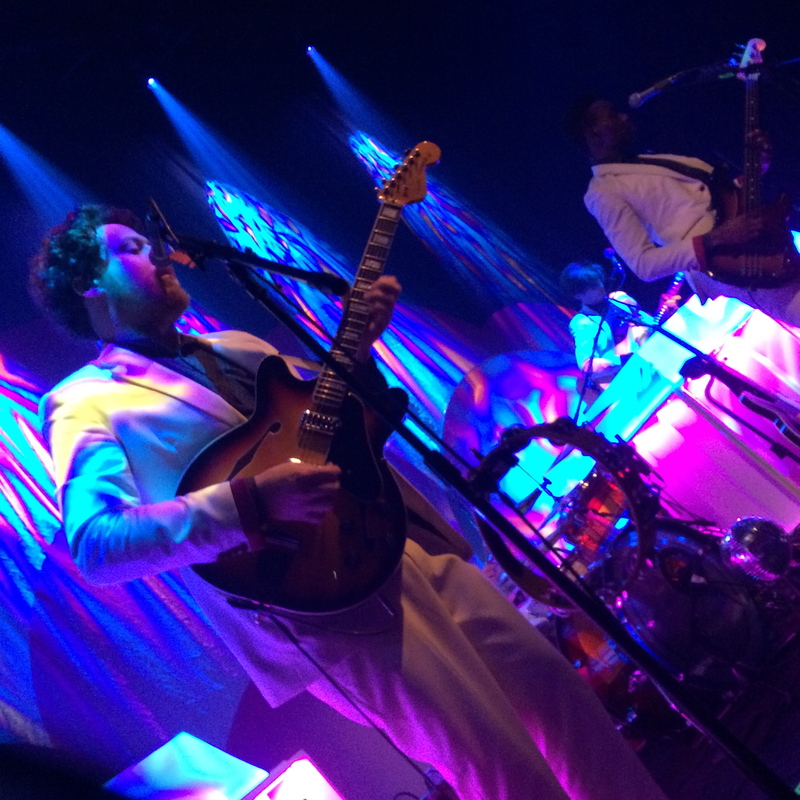 METRONOMY at the IMPERIAL in Vancouver October 26th, 2014. METRONOMY performing THE UPSETTER off of their album LOVE LETTERS at the Imperial. Oscar Cash is Joseph Mount’s cousin and fellow band member at the Imperial on Main and Hastings.